I laugh when I look back now at the angst I was feeling about travelling to Goa. It was our first holiday that wasn’t to our property in France since 2009. I’d travelled a lot for business in the subsequent years but that was different. This was Mark and I venturing somewhere new. 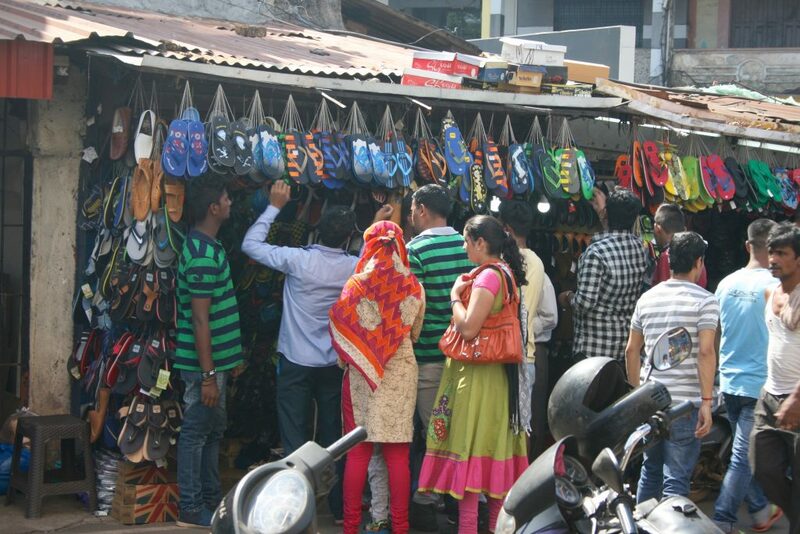 I’d never been to India and was very unsure what to expect. We’d done a day trip to Morocco years ago and the poverty had filled me with guilt and sadness. How was I going to cope with India, which was on a much bigger scale? I just let everyone around us get excited about our upcoming trip and got on with the packing and last minute arrangements! It worked as everyone was so wrapped up with planning Christmas that no one noticed that I’d gone a bit quiet! 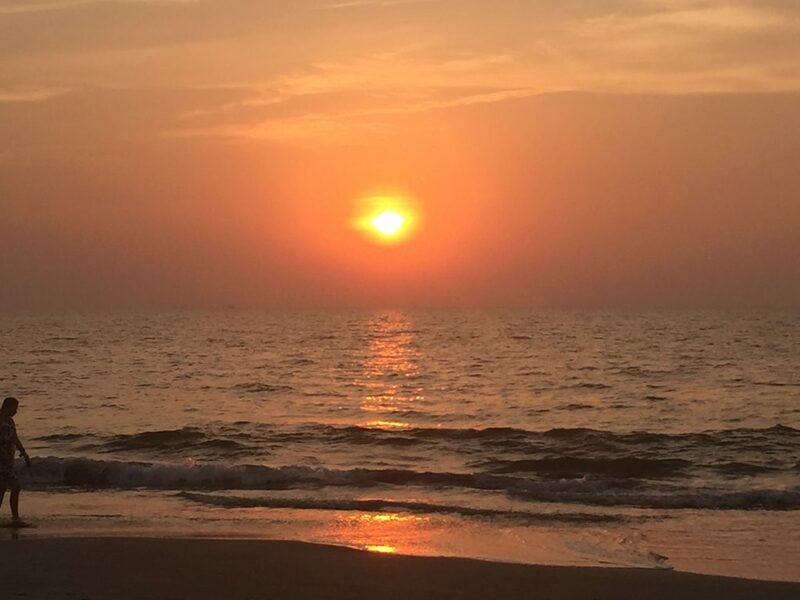 But everything about Goa whisked my anxiety away without me even noticing! We such an amazing holiday, we were both blown away and can’t wait to go back! We are very lucky. In the UK if we are employed, then our employer has a duty to pay at least the minimum wage. If we are unable to work then we can apply for help from the State. It’s also easy to set up your own business in the UK and with a lot of hard work, to earn a reasonable standard of living. In India If you don’t work or run a business, you don’t eat. It’s very simple. But seeing how genuinely happy so many of the people were, despite a very modest standard of living was truly humbling. We left the UK in the final countdown of the crazy season where copious amounts of money’s spent. On 25th December, The Daily Mirror reported: Online marketplace eBay predicts giftees will receive 115 million of unwanted presents this Christmas – and the total is worth an eye-watering £2.2 billion. How utterly mindless is this? How often do we find that bureaucracy just winds us up? With a population of 1.252 Billion India and no uniform welfare state, there is a need to create as many jobs as possible. As we went through the gate to board the plane to leave Goa, boarding pass and passport checked, I headed through the gate but was stopped by a further official. Her job was to check that the luggage label we’d been asked to apply to our hand luggage at check in had been stamped! Needless to say mine hadn’t! We had to head back to security to get the label stamped before they would allow me to board the plane! I simply laughed at the absurdity of it! What was the point in getting wound up? 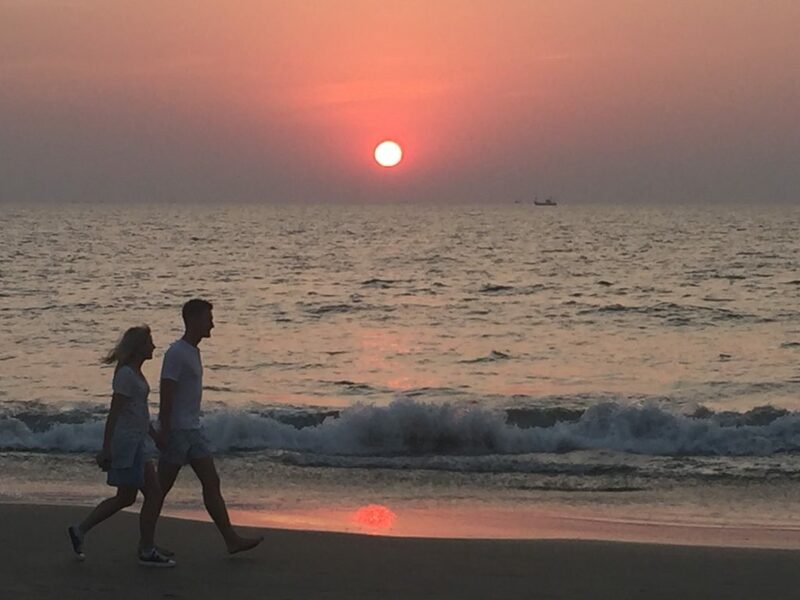 For the past five years, Goa has seen a huge increase in visitors from Russia. Not many Goans speak Russian which makes it more difficult to deliver a great service when struggle to communicate. Not many of the Russians we met, spoke very much English. 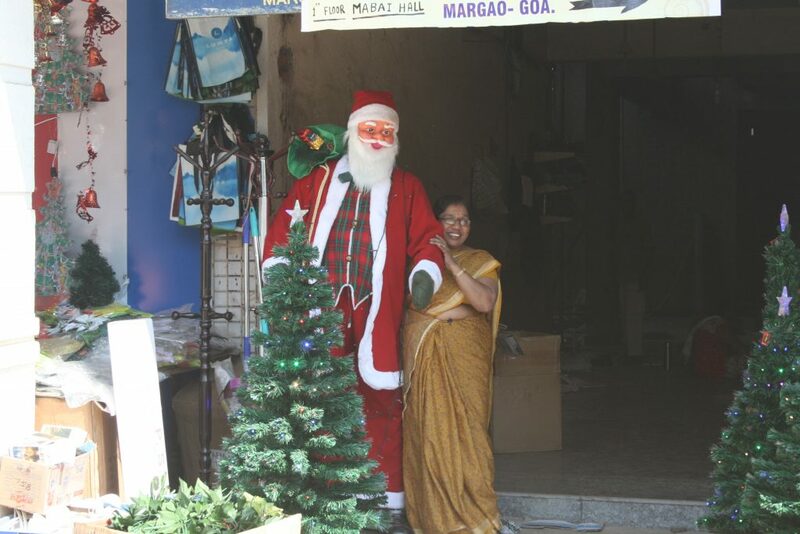 Goan hospitality is legendary and everywhere we went we found that to be true. The Goans love to practice their English and the standard of spoken English is excellent among the people we met and chatted to. English is the first foreign language that most Indians learn. To the Goans, the Russians come across as cold and rude, they do not smile or engage with the friendly locals in the same way that the British do. They are not being rude it’s a cultural difference (excuse the huge generalization). We were told on countless occasions how the people from hotel staff to shopkeepers prefer to serve the British. As Goa was under Portuguese rule for 450 years, it’s not surprising that Christianity is the second most important religion in Goa. Therefore it was inevitable that we wouldn’t entirely escape Christmas. But neither of us expected the massive dedication to decorating houses, bus shelters, and anything that didn’t move with fairy lights! At the hotel, they started decorating on the day we arrived and every day we returned to the hotel another few sets of lights had been applied to trees, bushes, the roof of the swim up bar in the pool! 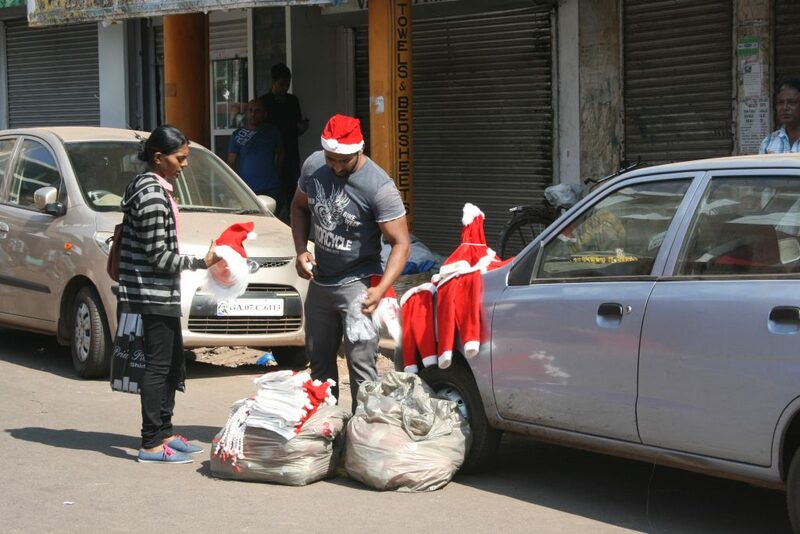 When we visited the market in Margao, we found one trader selling Santa outfits for children! The staff left a Christmas cake in our room and hung a stocking full of sweets on our door! Our attempt to escape the trappings of Christmas didn’t quite work! At least we saw no signs of Tandoori Turkey! Our first day on the beach we were waiting for lunch at one of the beach shacks when a group of children in Santa hats appeared with two adults. An amplifier appeared, along with Santa in full regalia complete with a full-face mask and beard (it was 32oC!). They set up and started dancing to Christmas songs. It was very cute each of the children looked really happy and were great dancers! When they finished and announced over the PA that they were collecting on behalf of an orphanage, I rushed over to donate and was handed a leaflet. My eyes welled up. 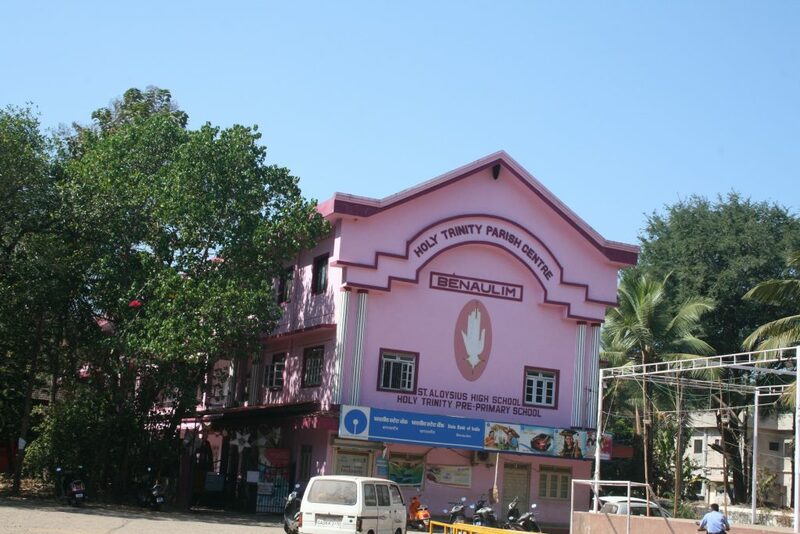 The orphanage largely helped children who had been subject to child abuse. India has a massive problem with child abuse with 1 in 2 children being abused, despite a change in the law in 2012. Cows are sacred animals according Hinduism. Milk is a rich food source and important part of the Indian diet – yoghurt and ghee. Cow dung is an excellent fertilizer and dried it can be burnt as fuel. Cow urine is used for medicinal purposes. Historically cows were also used for transport and to help work the fields. 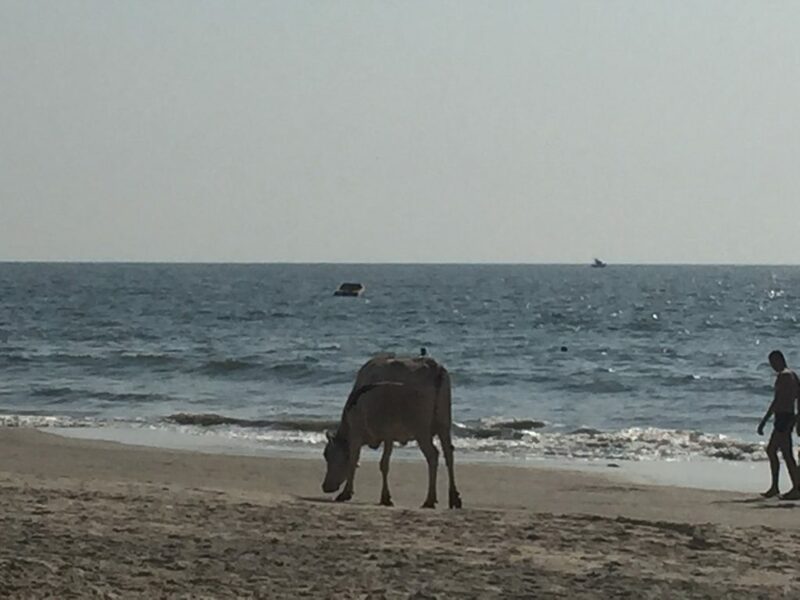 Cows roam freely across the open paddy fields, in towns and along the beaches. We were returning from a morning’s sightseeing in a taxi when a herd of cows (no owner in sight of course) started to cross the road in front of us. It was a real battle of wills between our taxi driver and the head cow…. Not in the traditional sense of a travel document, but in the sense of opening doors. Our UK education statistics show just how parents teach their children the importance of a good education. 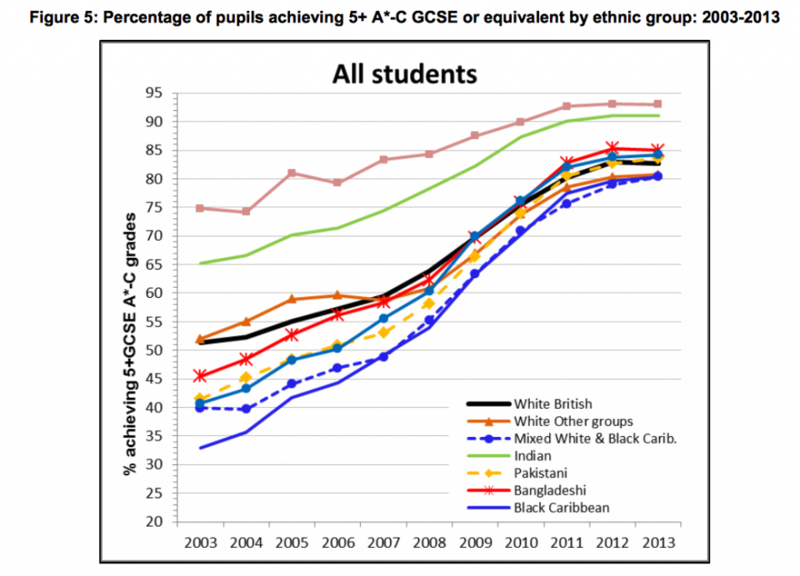 This diagram shows the results achieved by ethnic groups (source: Dept Of Education 2015). Showing how Indian children achieve much better results than any other ethnic groups (except Chinese). There’s a huge difference in the percentage of children in India who are in privately funded education (29%) compared with England (7%). These headline statistics can’t be taken in isolation, as there’s much more behind the numbers. But they help to illustrate the value placed on education in a country with a massive population where education is key to a good income and a poor education means a hard life. We really did have an amazing and truly relaxing holiday. But it was also a fabulous opportunity to see life from a different perspective. Every element of the trip tingled my senses and aroused my curiosity to find out more and explore this amazing country. 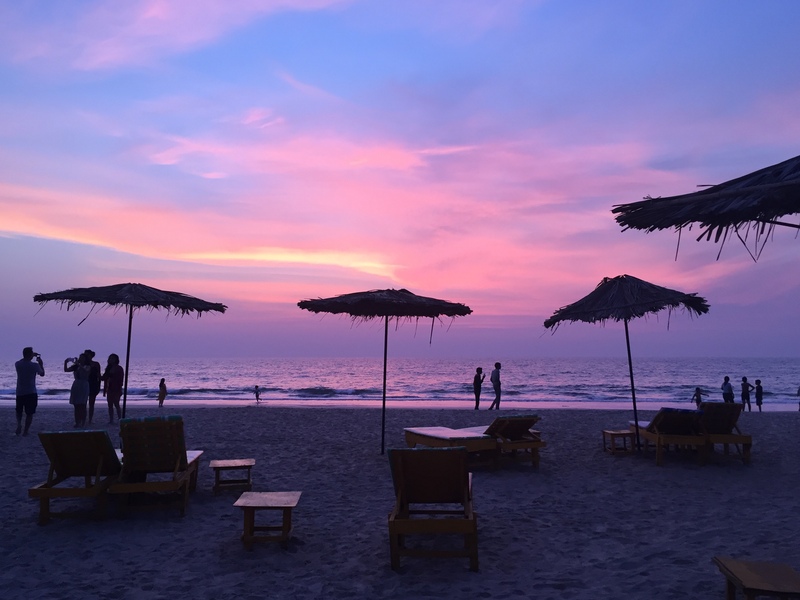 If you’re considering a trip to Goa and want to know what I’d pack… as little as possible! Leave plenty of room in your suitcase for bringing back some lovely Indian cotton and silk clothes.